This report was prepared for Shoalhaven Landcare Association (SLA) to detail information on the Red Fox Vulpes vulpes in the Shoalhaven. efforts to manage Red Fox on freehold land.  Provides recommendations to advance the project and outline limitations. THREATENED SPECIES OF FAUNA AND FLORA IN BANGALEE RESERVE, NOWRA. ​Bangalee Reserve (127ha) is located between the suburbs of Tapitallee/Watersleigh, within the Shoalhaven Local Government Area. The reserve adjoins the northern edge of the Shoalhaven River some ten kilometres north-west of Nowra. The area is a ‘hot spot’ for species listed as threatened with extinction under the New South Wales Biodiversity Conservation Act 2016 (BC Act) and the Commonwealth Environment Protection and Biodiversity Conservation Act 1999 (EPBC Act). Targeted microbat and small mammal trapping plus spotlight surveys in the Berry Corridors and environs. The report is available at Fauna Surveys. Surveys were undertaken for arboreal mammals, microbats and birds on the south coast of New South Wales within 10km of the town of Berry. Spotlight surveys in Seven Mile Beach NP confirmed the persistence of a robust population of Greater Glider Petauroides volans. The Greater Glider is a forest dependant animal that dens in large hollows in mature forest. These characteristics allow managers to use the Greater Glider as an indicator species for forest health and connectivity. Translocation proposal. Re-introduction of Stuttering Frog Mixophyes balbus tadpoles to Nowra NSW Proposal. ​The Stuttering Frog Mixophyes balbus is listed as Vulnerable under the Commonwealth Environment Protection and Biodiversity Conservation Act 1999 (EPBC Act) and Endangered under the NSW Threatened Species Conservation Act 1995. The aim of this proposal is to provide a planned, comprehensive program for the translocation of captive bred tadpoles into a portion of the species historic range to assist the recovery of the species and ecosystems in the area. The proposal is available on the link Mixophyes balbus. 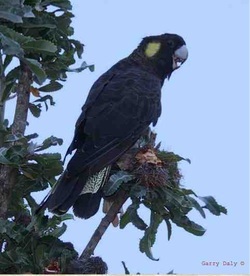 Threatened species of Fauna and Flora in the Tapitallee Area, Nowra by Garry Daly. Commonwealth Environment Protection and Biodiversity Conservation Act 1999 (EPBC Act). the Boyds’ property, Riversdale that is now managed by Bundanon Trust. Saddleback Corridor Survey by Garry Daly. ​Surveys were undertaken for microbats, arboreal mammals, Tiger Quoll, Stuttering Frog and funnel-web/trap-door spiders on the south coast of NSW within Foxground, 3-8km south-west of the town of Kiama. Rehabilitating Shoalhaven Landscapes. Bring Back the Bush by Garry Daly. ​Bengalee Creek Landcare group has requested a guide to rehabilitating degraded landscapes in the Shoalhaven Local Government Area for Landcare Groups. This guide is a work in progress as various projects are evaluated over time. The goal is to mimic/reconstruct the pre- European vegetation association of a particular area in terms of species diversity but with an emphasis on species, which provide food for fauna. When rehabilitating degraded landscapes restoration will, in many cases, take hundreds of years before a mature forest is re-established that supports select forest dependant species of flora and fauna. Hence, rehabilitation and revegetation are seen in the context of succession of that particular vegetation community over time. The majority of vegetation communities experience fire and this is an important force that shapes communities and the complexity in the shrub and ground layers. Click Rehabilitating Shoalhaven Landscapes for the report. ​The identification of plants is mostly based on the characteristics of flowers. Using characteristics such as leaf morphology is made difficult as they vary in size and shape depending on a range of factors such as the quality of the soil climate and genetic variation. We persist with using leaves to identify plants because they are usually the most readily available piece of the plant that we have. The wide variation in leaf morphology allows us to separate species using various steps in a taxonomic key. However, since leaves do vary in their shape a single species may fall out at several stages in this key. 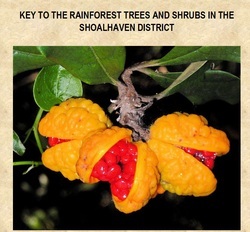 This key is for most trees and shrubs in the region. Ferns, small groundcover plants and vines are not included. 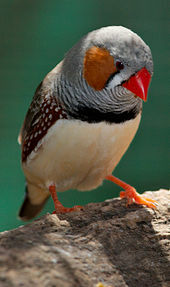 Several species are only found in the extreme north of the local government area or at high altitude. These species have been included. 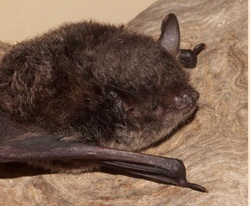 Other species have been found north and south of the Shoalhaven but not within the boundaries of the government area. These species have been excluded. To use this key you need to be familiar with some terms used by botanists. Click Key to Rainforest Trees for the report. 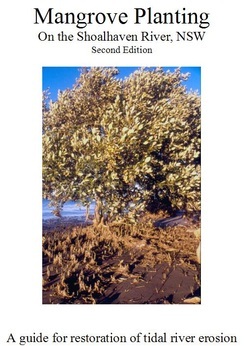 ​This booklet focuses on the use of the Gray Mangrove as an essential plant for tidal riverbank restoration in south-eastern Australia. Included are details on seed collection, germination, planting and protecting mangroves gained from extensive trials by Charlie Weir and Shoalhaven Riverwatch. The second edition draft is available at Mangrove Planting. with scurrying crabs and unexplained squelching sounds. Heading inland they noted native honeybees, high in a bloodwood, and pondered the future of this forest in the face of the expected rising sea levels. many little known and misunderstood. As they walked they spoke, from their individual perspectives, of their feelings about this land, its past, its present and its future. About how they read the land. 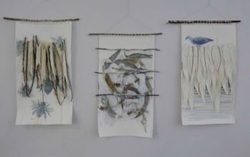 Along with them, on this ambling walk and joining in the conversation, was a group of 30 artists. The essay can be viewed at Reading the Land. (The opinions in this essay are those of the author and not necessarily those of Shoalhaven Landcare). The link below is a recently-published article by several of Australia’s leading conservation scientists regarding Australia’s current political climate and its impacts on biodiversity. This short, well-referenced, peer-reviewed article may be a very useful reference to those working to influence political direction toward protecting Australia’s biodiversity assets.See the article at: Continental-Scale Governance Failure Will Hasten Loss of Australia’s Biodiversity.